The following volcanic eruptions are known as the ones that have the highest death toll which means that there were more than 500 victims of these natural phenomenon. 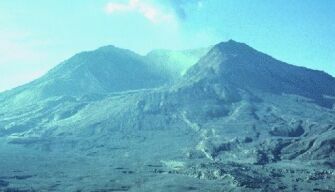 These eruptions range from until 1991 and the amount of deaths was between 700 and 92,000, the highest ranking being in 1815, in Indonesia. In 79, the Mt. Vesuvius volcano, in Italy, was responsible for 3,360 deaths. This eruption caused such ash falls and flows that they became the major causes of death. In 1631, the Mt. Vesuvius volcano, in Italy, was responsible for 3,500 deaths. This eruption caused such lava flows and mudflows that they became the major causes of death. 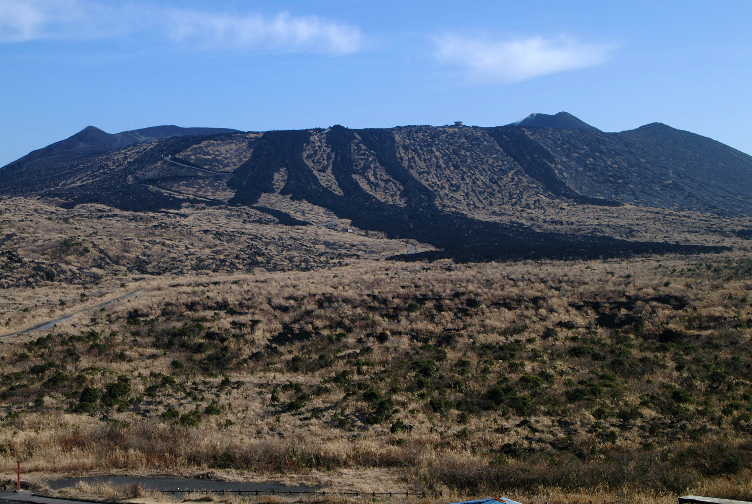 In 1640, the Komagatake volcano, in Japan, was responsible for 700 deaths. This eruption caused a tidal wave which became the major cause of death. In 1741, the Oshima volcano, in Japan, was responsible for 1,475 deaths. This eruption caused a tidal wave which became the major cause of death. 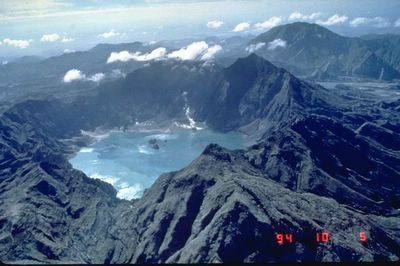 In 1772, the Papandayan volcano, in Indonesia, was responsible for 2,957 deaths. This eruption caused such ash flows that it became the major cause of death. 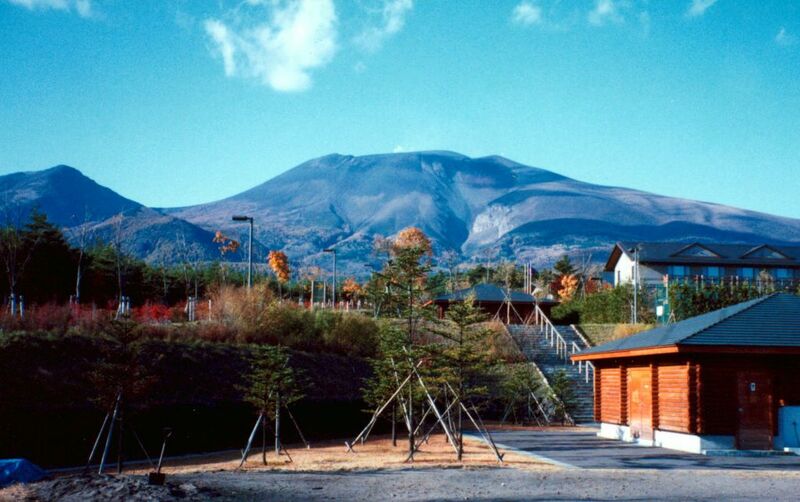 In 1783, the Asama volcano, in Japan, was responsible for 1,377 deaths. This eruption caused such ash flows and mudflows that they became the major causes of death. 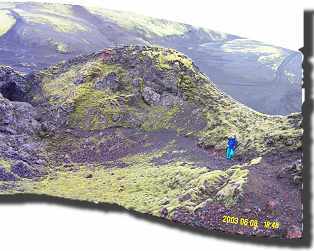 In 1783, the Laki volcano, in Iceland, was responsible for 9,350 deaths. This eruption caused so much destruction that the population suffered from starvation which became the major cause of death. 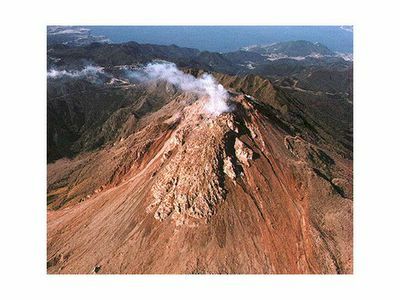 In 1792, the Unzen volcano, in Japan, was responsible for 14,300 deaths. This eruption caused the collapsing of the volcano and a tidal wave which became the major causes of death. 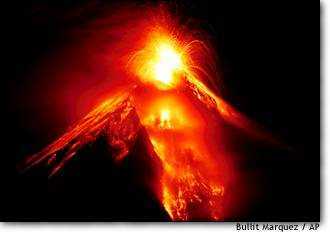 In 1814, the Mayon volcano, in the Philippines, was responsible for 1,200 deaths. This eruption caused such mudflows that it became the major cause of death. In 1815, the Tambora volcano, in Indonesia, was responsible for 92,000 deaths. This eruption caused so much destruction that the population suffered from starvation which became the major cause of death. In 1845, the Ruiz volcano, in Colombia, was responsible for 700 deaths. This eruption caused such mudflows that it became the major cause of death. 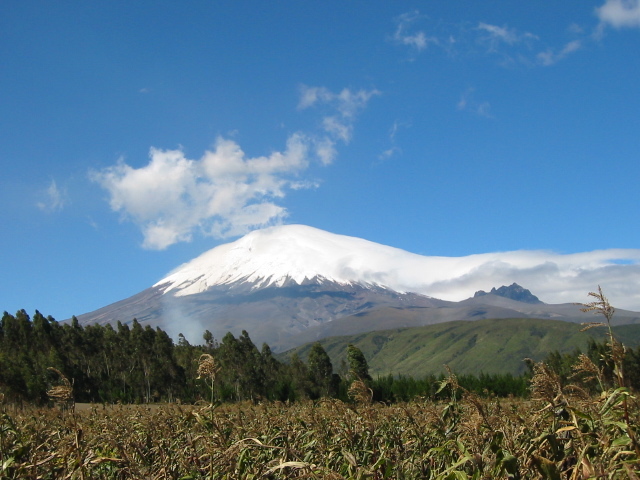 In 1877, the Cotopaxi volcano, in Ecuador, was responsible for 1,000 deaths. This eruption caused such mudflows that it became the major cause of death. 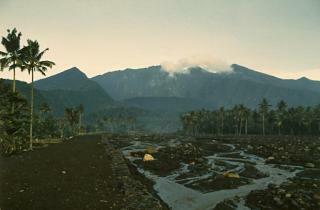 In 1882, the Galunggung volcano, in Indonesia, was responsible for 4,011 deaths. This eruption caused such mudflows that it became the major cause of deaths. In 1883, the Krakatau volcano, in Indonesia, was responsible for 36,417 deaths. This eruption caused a tidal wave which became the major cause of death. In 1902, the Soufriere volcano, in St.Vincent, was responsible for 1,680 deaths. This eruption caused such ash flows that it became the major cause of death. In 1902, the Mt. 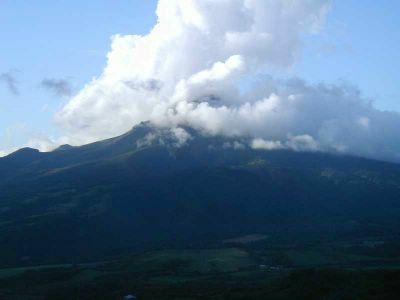 Pelee volcano, in Martinique, was responsible for 29,025 deaths. This eruption caused such ash flows that it became the major cause of death. In 1911, the Taal volcano, in the Philippines, was responsible for 1,335 deaths. This eruption caused such ash flows that it became the major cause of death. In 1919, the Kelut volcano, in Indonesia, was responsible for 5,110 deaths. This eruption caused such mudflows that it became the major cause of death. In 1951, the Lamington volcano, in Papua/New-Guinea, was responsible for 2,942 deaths. This eruption caused such ash flows that it became the major cause of death. 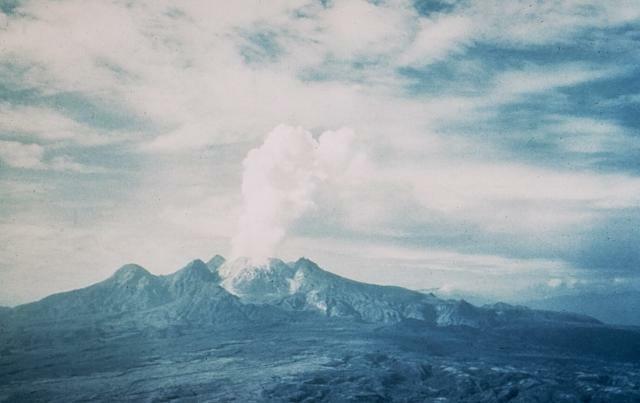 In 1963, the Agung volcano, in Indonesia, was responsible for 1,184 deaths. This eruption caused such ash flows that it became the major cause of death. 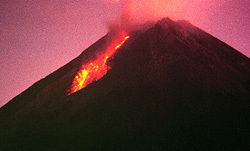 In 1982, the El Chichon volcano, in Mexico, was responsible for 2,000 deaths. This eruption caused such ash flows that it became the major cause of death. In 1985, the Ruiz volcano, in Colombia, was responsible for 25,000 deaths. This eruption caused such mudflows that it became the major cause of death. In 1991, the Pinatubo volcano, in the Philippines, was responsible for 800 deaths. This eruption caused the roof to collapse and the population suffered from diseases which became the major causes of death. As you can see, volcanoes may seem intriguing and mysterious as they display a strange mix of beauty and danger but it shows that something as phenomenal as a volcano must always be respected and observed from a distance otherwise, nature will take lives with little warning, affecting the lives of so many loved ones. This is a great view of the eruption of this famous Italian volcano. This is a great picture of this well known Japanese volcano. This is a picture of another Japanese celebrity. This picture represents the eruption of this Indonesian volcano. This is a beautiful picture of another Japanese volcano. This is an Icelandic volcano. 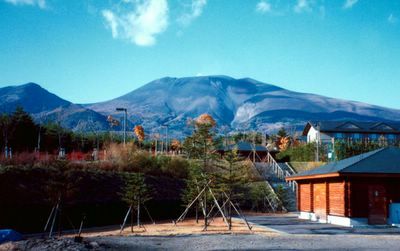 This is another Japanese volcano which displays a lot of character, especially during an eruption. This is a beautiful view of this volcano, at nightime. This is a great picture of a famous volcano in Indonesia. This picture offers a beautiful view of this Colombian volcano. 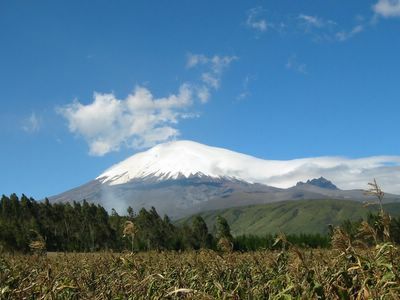 This is a wonderful picture of this volcano in Ecuador. 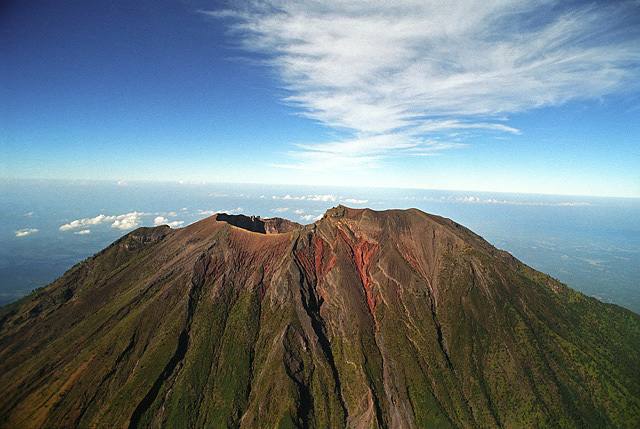 This is another beautiful Indonesian volcano. This is a great view of this Indonesian volcano. This is a wonderful picture of a volcano erupting in St.Vincent. This is a great picture of the eruption of this volcano in Martinique. This is a bird view of this volcano situated in the Philippines. 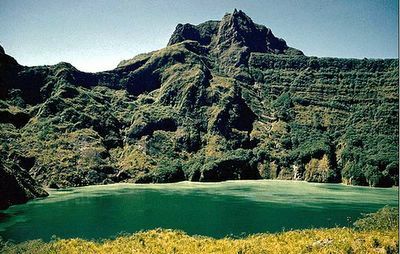 This is a beautiful lake that is sitting in the crater of this Indonesian volcano. This is a great view of this erupting volcano in Papua/New-Guinea. This is an impressive close up of this Indonesian volcano. This is an impressive eruption of this Mexican volcano. This is a beautiful bird view of this volcano, in the Philippines. Here are the most well known volcanoes in the world. 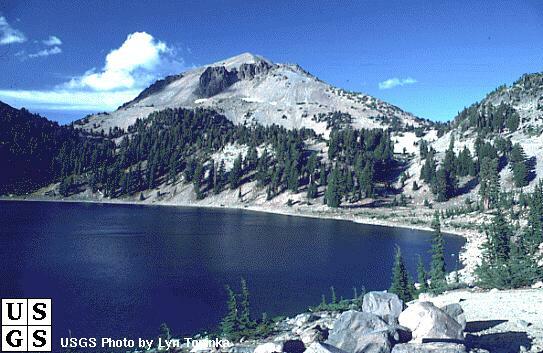 The Lassen Peak volcano is situated in California. It last erupted in 1918. This was the last eruption in the Cascade range before the eruption of Mt. St.Helen in 1980. The Thira (Santorini) volcano, in Greece, is a volcanic island that has a volcanic bay. During an eruption, the Minoan population on Crete was destroyed by ashes falling and tsunamis. 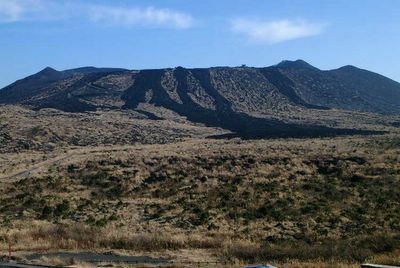 The Mauna Loa volcano in Hawaii, is the largest volcano as it measures 60 miles at the base and is erected from the sea floor up. The Krakatoa volcano that is situated in Indonesia, has caused a high level of both fatalities and damages. In 1883, there was 36,000 deaths, 24 sq. mi of destruction and the noise from the eruption was heard 3,000 miles away. The Merapi volcano that is also in Indonesia happens to be the most active one in this country and has the most "glowing clouds" than any other volcano. The Mount Vesuvius volcano in Italy, buried Pompeii in 79 B.C. during a Plenian eruption. The Cotopaxi volcano that is situated in Mexico caused a disastrous mud flow over an area of 150 miles, during its eruption in 1877. The Crater Lake volcano that is situated in Oregon, has displayed 43,000 times the force of an atomic bomb during its last eruption 6,600 years ago. The Mount Mayon volcano, in the Philippines, is considered to have the best shape of any strato volcanoes. 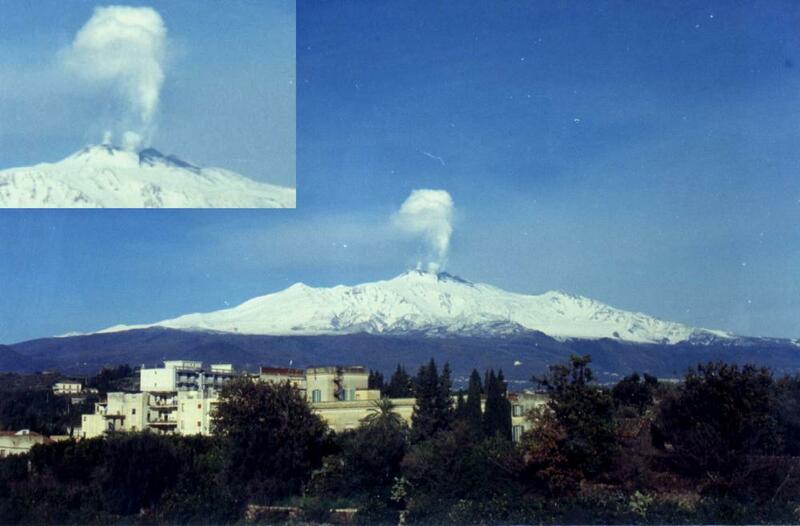 The Mount Etna volcano that is in Sicily, is still very active and is responsible for creating craters, even now. 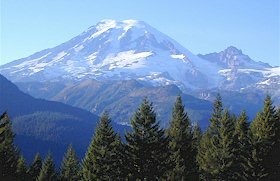 The Mount Rainier volcano, in Washington, displayed a 70 miles lava flow during the Prehistoric Era. The Mount St.Helen volcano, in Washington, caused an earthquake in 1980 when it erupted which was also responsible for the largest landslide in the history of America. As you are now aware, each one of these volcanoes has a characteristic that distinguishes them from the other ones, all over the world. This is an amazing picture taken of a volcano situated in California. This is a bird view of this Greek volcano. This is a beautiful picture of this well known volcano in Hawaii. This is another one of those beautiful volcanoes situated in Indonesia. 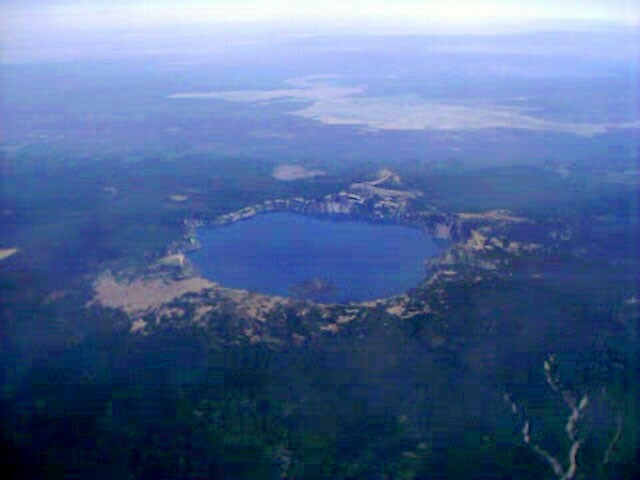 This is a magnificient bird view picture of this volcano in Oregon, USA. This is literally a beauty of nature which is Italian. This is an incredible view of this American volcano. This is the eruption of another famous American volcano. 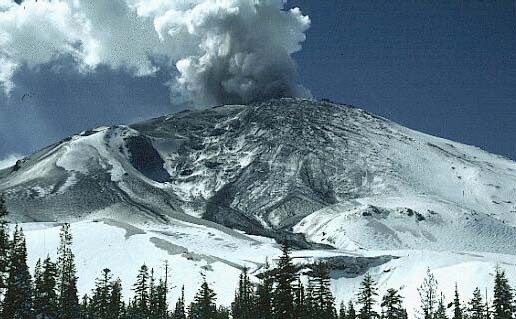 When Mount St.Helen erupted on May 18 of 1980, it was considered dormant (asleep) for a period of one hundred years before it "woke up" again. This eruption cost the lives of 58 people and $1.2 billion in damages. There are more than 500 active volcanoes, in the world. During the Mount St. Helen's eruption, a lateral blast of rock debris moved at a speed of 250 miles per hour. About 6, 600 years ago, a volcano that lost his top due to a series of violent eruptions was responsible for the creation of Crater Lake. 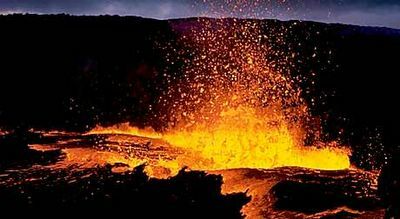 The origin of the Earth's surface is more than 80% volcanic. The ocean floor and some mountains were created by multiple volcanic eruptions. The Earth's atmosphere was formed by volcanic gaseous emissions. How do you know if a volcanic eruption is mild or violent? Read the following characteristics. A mild eruption is observed when some steam and gases are the only elements coming out in some cases and in others when some lava is quietly descending on the sides of the volcano. A violent eruption is observed when a loud and violent explosion blasts rocks, steam, ashes, gases and important quantities of lava. These eruptions are often spectacular and sometimes even famous. The type of volcanic eruptions is often named after a famous volcano that has similar characteristics. A volcano might display only one type of eruption as another one might display several ones. The Plinian eruption is the most powerful type which will eject lava during violent explosions. It sends ashes, and gases miles into the atmosphere. 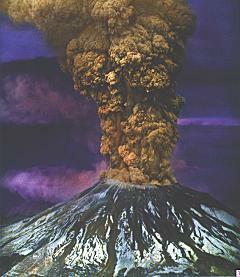 Mount St.Helen displayed this type of eruption on May 18, 1980. 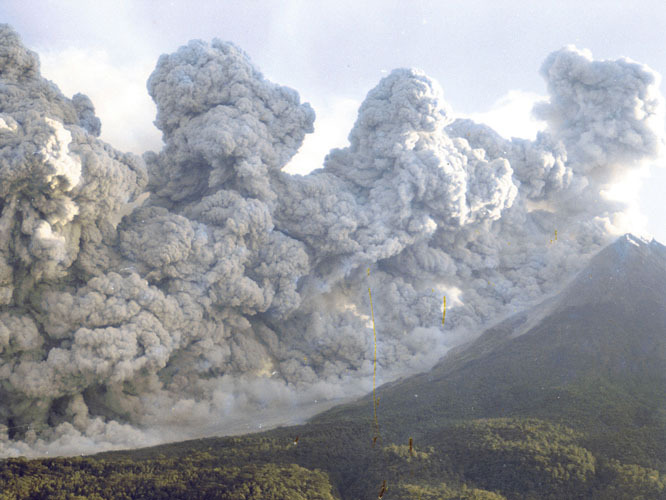 Large areas, up to hundreds of miles downwind, can be affected by the deadly pyroclastic flows caused by the mix of ashes and gases that were released during the eruption. The Phreatic eruption is caused by the blast of steam that is produced by the cold ground or water on the surface that comes in contact with hot rock or magma. During the type of eruption, only steam and fragments of solid rock are projected into the air. There is no magma that erupts in this case. 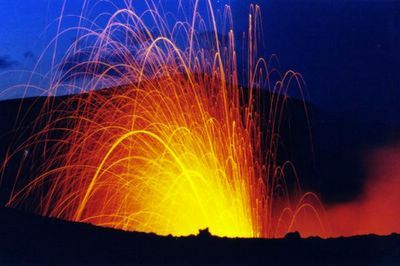 The Strombolian eruption sends strands of lava into the air then descends the sides of the volcano resembling small rivers. 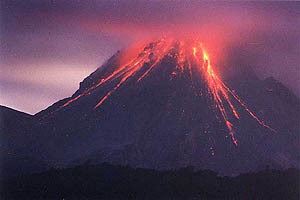 A good example of this type of volcanic eruption is the Irazùù Volcano in Costa Rica that erupted in 1965. 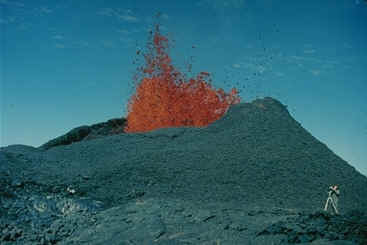 The Hawaiian eruption happens when the lava erupts from either the central vent or linear vents coming out of fissures. The lava then streams down the sloped sides of the volcano. 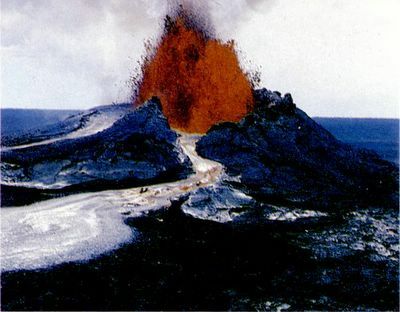 An eruption that happened in a linear vent was the Mauna Loa Volcano in 1950 and a good example of a central vent eruption was in the Kilauea Iki Crater of the Kilauea Volcano, in 1959. The Vulcanian eruption is displayed when a thick cloud mixed of ashes and gases explodes from the main vent rising high over the summit as a white cloud surrounding the upper part of the volcano. 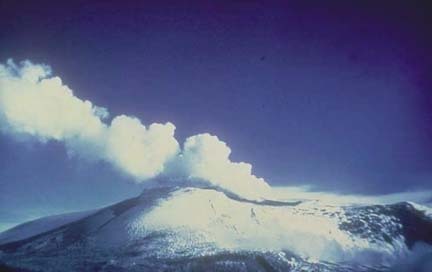 In 1947, the Parìcutin Volcano was a good example of this type of volcanic eruption. 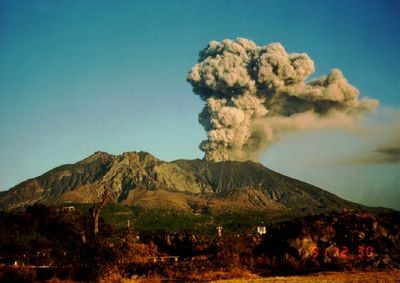 The Vesuvian eruption as demonstrated by Mount Vesuvius in Italy, A.D. 79, discharges a thick cauliflower-shaped cloud that contains enormous quantities of ashes and gases that erupts violently high up in the sky. The Peléan also known as Nuée ardente (glowing cloud) type of volcanic eruption discharges a great amount of ash, dust, gas and lava fragments that are exploding from the central vent in a tongue-shaped avalanche of glowing elements that move down the sides of the volcano at speeds as high as one hundred miles per hour. 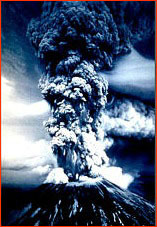 This type of eruption was demonstrated by the Mayon Volcano in the Philippines, in 1968. As you can see, a volcano has its own personality to show the world and it does that in a variety of ways. Beauty, danger and mystery mix together to offer spectacular and sometimes unpredictable, volcanic eruptions. This is a great example of a mild eruption. This is a spectacular example of a violent eruption. This is a beautiful example of a Plinian eruption. This is a good example of a Phreatic eruption. This is a beautiful example of a Strombolian eruption. This is a wonderful example of an Hawaiian eruption. This is an excellent example of a Vulcanian eruption. This is a good example of a Vesuvian eruption. 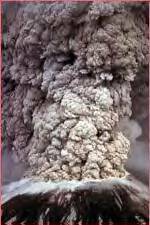 This is a great example of a Pelean (Nuée ardente) eruption. Volcanic activity is reflecting how often a volcano erupts, if at all. Some volcanoes are erupting often, others haven't in centuries and finally, some have not been erupting in thousands of years of even since the Ice Age. Scientists classify the volcanic activity on a three levels scale. The levels are: active, dormant and extinct. An active volcano can erupt on a regular basis or periodically, for example, every ten years. 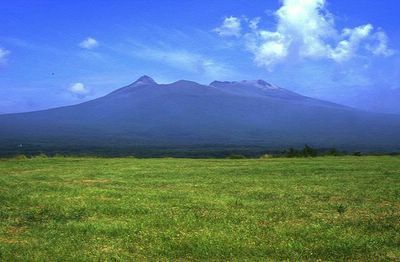 The dormant volcano can be inactive over a long period of time, for example over a century and then all of a sudden, it has an eruption. 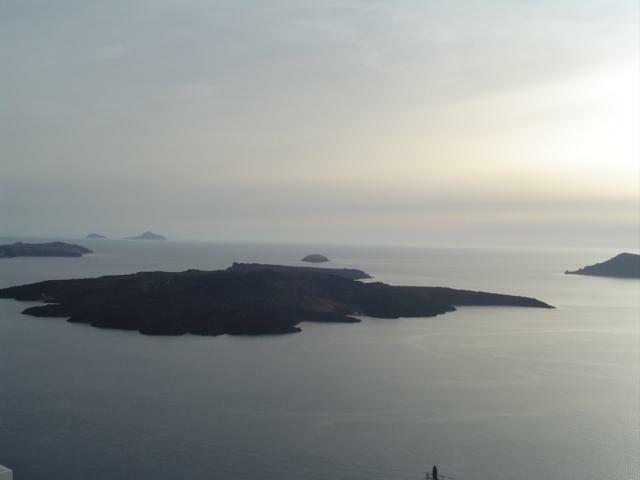 The extinct volcano has been inactive for thousands of years and shows no sign of ever erupting again. It is a mountain, in the middle of which there is a deep vent. At the bottom, there is a pool of molten rocks called magma. The magma mixes with gases and slowly build up the amount of pressure. The temperature rises, melting more rocks, increasing the pressure the pressure of both gases and magma. At a certain level of pressure, the top of the vent which is partly covered by hardened lava and even plants, depending how long ago the volcano erupted, the explosion might be violent or more quiet. 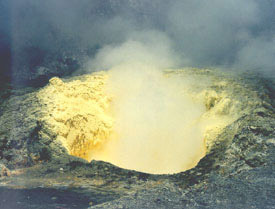 Then the magma is released out of the vent, flowing out of the volcano. It is now called lava. Some volcanoes are now extinct which means that there was no volcanic activity recorded for centuries. Some volcanoes are dormant which means that they have not erupted in a long time. 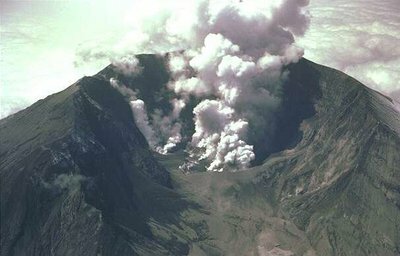 Other volcanoes are active but the timing between the eruptions vary greatly. Volcano eruptions have been known to destroy forests and villages but also to have affected or even caused other natural disasters such as: mudflows, flashfloods, earthquakes, rockfalls and even tsunamis. The pulverized rocks become ashes which can be acidic, smelly, glassy, harsh and gritty. It is said that the ashes of volcano eruptions can remain partially into the atmosphere for up to two years, affecting the weather conditions.